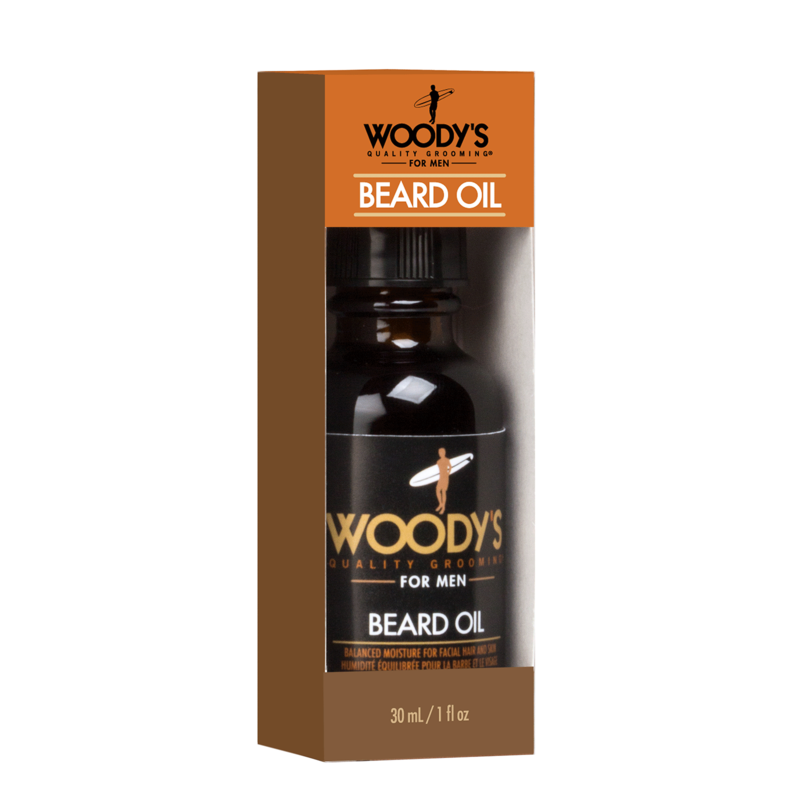 Woody's takes the traditional Beard Oil and makes it entirely new by combining essential oils in a unique blend for the ultimate control and shine. Our special blend of these Macadamia, Moringa and Kukui Nut, oils adds shine as they help to prevent dry, itchy skin. 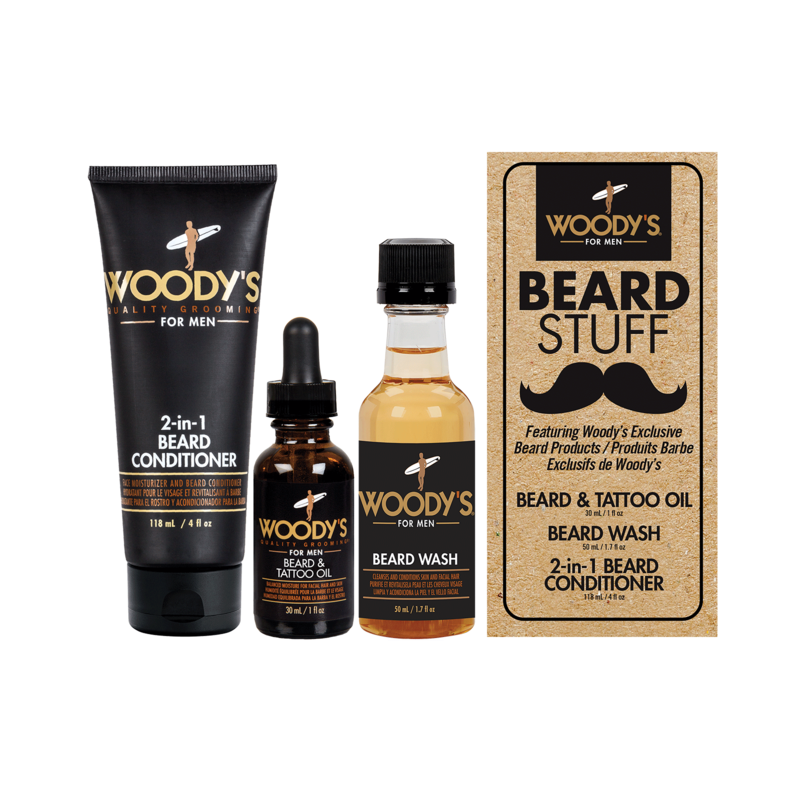 Woody's special formula helps to soothe, moisturize and invigorate skin and facial hair as it delivers the nutrients your skin and facial hair needs. 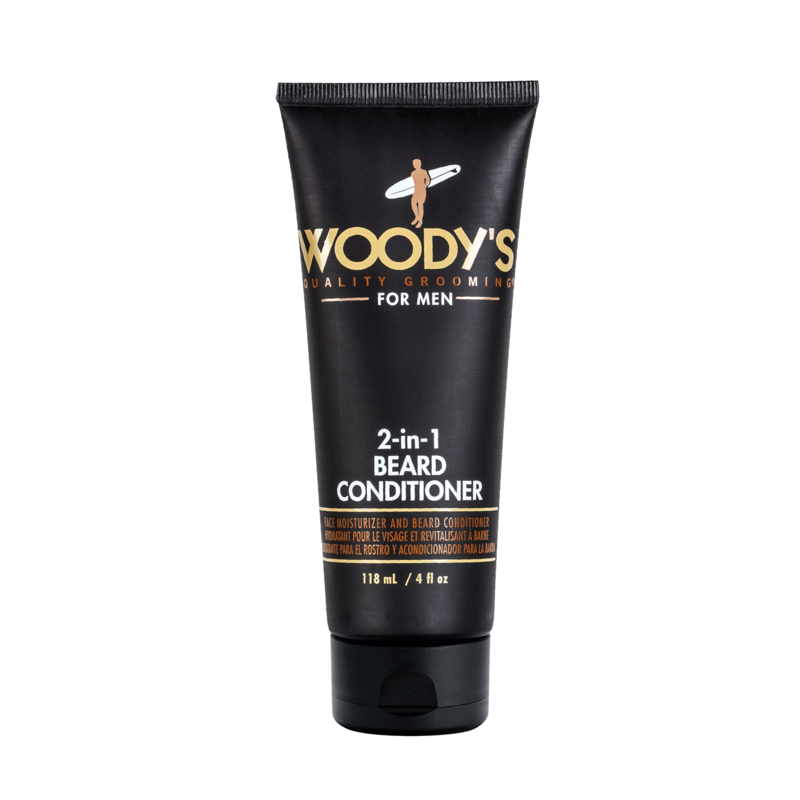 Woody's 2in1 Beard Conditioner is formulated with our special conditioning and strengthening blend of extracts and essential nutrients to soothe and treat your wiry beard and skin. Its special deep conditioning ingredients help to prevent flaking and dry skin underneath your beard to increase the collagen synthesis and to help keep the skin in optimum condition. Combine this with our special cooling grapefruit scent for a totally refreshing sensation.